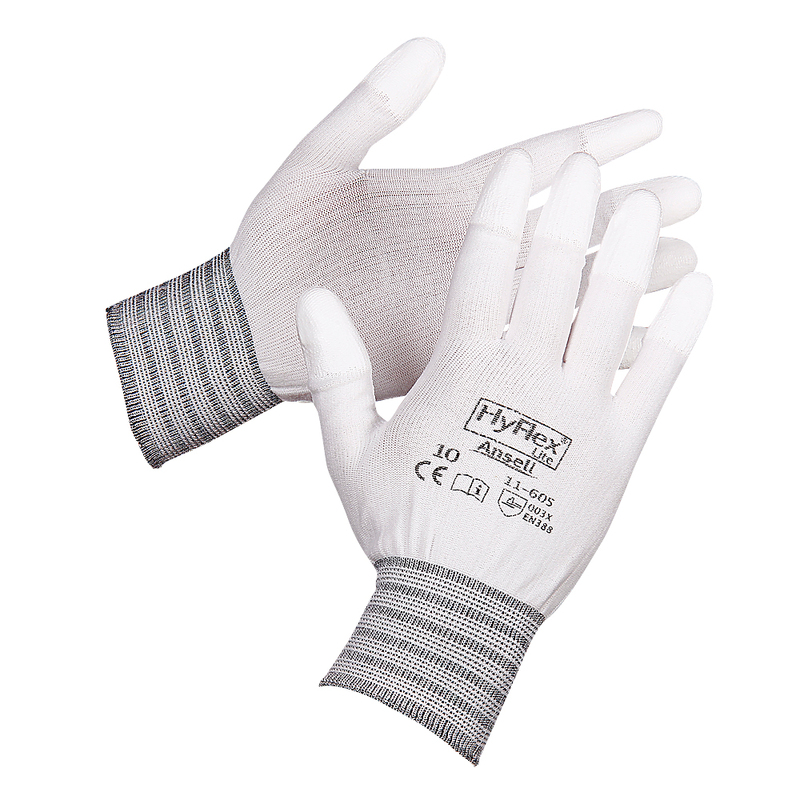 Polyurethane fingertip coating with stretch nylon liner gloves offer tactile sensitivity. Available in finger dipped style for maximum tactile sensitivity. Ansell HyFlex 11-605 industrial glove in white colour for dirt sensitive application. Designed for light and delicate applications in dry environments that require high levels of dexterity. Comfortable Ansell HyFlex 11-605 Polyurethane Fingertip Coating Nylon Glove for exact handling of small objects conforms to: EN 388 0.0.3.x standard.